Completing a book can be hard sometimes, especially when you’re in between several things. I’ve had to restart several books after months of neglect due to my schedule. In my experience, the better or the more interesting the book, the faster I am to complete it. But if you’re a book lover, you’ll often find yourself reading whatever comes your way. 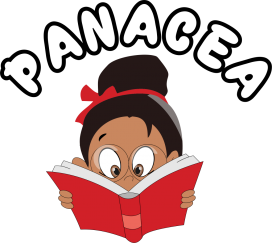 So you end up reading widely.There is no guarantee that you will enjoy the book you’re about to read but at least you’re sure to pick up a few lessons and you get full bragging rights for completing the book. 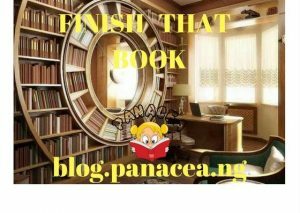 In this article, I will share my experience and give tips on how to complete a book from start to finish. A lot of writers usually put their best foot forward. Most books I’ve read begin with so much energy and if the writer is able to carry that energy through to the end, that makes it easier for the readers. So I just read the preface and the introduction of the book, and then I pause for a while and allow myself to think through it. This just usually increases my interest in the material and I become more inquisitive, more interested to find out other things the writer has to say. Sometimes it’s the business card of a new client I just met and I’m trying to get into a business relationship with, sometimes it’s an actual bookmark with Bible verses and sometimes it’s a piece of paper or note my wife gave to me. The point of using a bookmark is to use something that keeps you interested in going back to the book, something that helps you want more of the book you’re reading.Bookmarks are very useful in ensuring you don’t lose track of where you are in the book. Since you can easily tell where you are in the book, it also helps you mentally – you can tell how far you have come reading the book. I like to go everywhere with the book I’m currently reading. I find that I usually have some idle periods during my busy schedule, maybe while waiting for a client to arrive or while waiting to board a plane or during the flight itself. Sometimes bus/train trips also provide a good opportunity to quickly go through a few pages of the book. This is even more true if you live in one of the cities with heavy road traffic, the minutes/hours spent in road traffic can be used to further your reading. I admire people who can read before bed.For me, that’s a sleeping tonic, especially when I need whatever I’m reading to stick to my brain. My favourite reading time is early in the morning (3am -5am); it’s easy for me to set aside 30-60 minutes for reading. The quietness and calm just makes that reading time perfect for me. The idea is to find the perfect time for you.Have you considered your break time at work? Or maybe the best time for you is right before bed. Just create your best suited routine and stay with it. This can be a bit difficult, especially when reading something abstract. But for you to complete the book, you need to engage your imagination. If you’re the type that loves taking notes, or you’re the type that loves to act out what you’re reading, these activities will help you to get into the mind of the writer and will keep you glued to the book. I have found that you’re likely to enjoy a book better when you have at least one person you can share the book with.Of course, this can be tough in this era of social media where taking/sharing a picture with friends seems more interesting. This is one of the primary reasons why Panacea was created so that you can share your reading experience with other people who have similar study pattern. Finally, it’s important to remind you that in our world today, you’re more likely to get distracted frequently.Like I mentioned at the beginning of this post, I sometimes have to begin a book again after months of neglect. So don’t worry about starting again, forgive yourself and pick it up again. Second attempts have yielded more fruits in my experience. Odeyemi OluGbenga is an entrepreneur, infotech consultant, a believer in Christ, and lover of music.